Editor’s note: As part of our Most Influential Post of 2014 contest, we are re-publishing the articles that attracted the most reads. This article was the most-viewed for October. To see the full list of the most popular posts in 2014 and to vote for your favorite, click here. A couple of months ago, I joined a Twitter chat hosted by Echoing Green about The Five Bad Reasons to Start a For-profit Social Enterprise, inspired by the article of the same name. While I don’t disagree with these “five bad reasons” as presented by author Rich Leimsider of Echoing Green, this list focuses on dispelling the myths around the limitations of a non-profit structure. For instance, can a non-profit sell a product, have a sustainable revenue model, and adequately compensate its employees? Yes, yes, and yes. However, while legal structures and compensation are important, our focus needs to be on the customers and the communities we’re impacting. I joined Nuru International in 2012 as its Chief Financial Officer for a number of reasons, chief among them being the organization’s goal of reaching true self-sustainability. At the time, though operating as a non-profit, Nuru had income-generating activities such as an agriculture food loan program, and had tried a small-scale dairy as well as a consumer products business. Nuru is a non-profit organization devoted to fighting extreme poverty and finding solutions to end world poverty in remote, rural areas. However, in order for the projects in Kenya and Ethiopia (and eventually other countries) to be self-sustaining (i.e. not donor-funded), we knew we needed to vet the income-generating businesses, invest and grow the ones that had the potential to be profitable, and ultimately create a separate for-profit entity. The opportunity to launch and lead this hybrid model appealed to me, since I believe that the donor-funded model misses out on a key aspect that few of us are lucky enough to see in the communities we serve. That vital element is the entrepreneurial spirit of those living in poverty, the ability to create solutions for problems they face – to iterate and to persevere. Between September 2012 and December 2013, Nuru International and I, as the first President and Founder of Nuru Social Enterprises, went through several iterations to find the “perfect” model. We sought to incorporate and launch Nuru Social Enterprises as a holding company of Nuru International. As anyone who has ever launched a start-up knows, our new model initially had its flaws, imperfections that we identified through very deliberate testing, and tweaks that we made after we saw the results of pilots such as this chilies agribusiness project. However, the premise of Nuru Social Enterprises has not changed, nor have its core values. After paying our equity investors and re-investing a portion for organic growth, the remainder of our profits are used to fund the Nuru NGO in-country (Kenya and Ethiopia), thereby magnifying our social impact. Each business in the country investment portfolio will be able to fund at least 10 percent of the in-country NGO costs once reaching scale. Country specific adaptability— or being able to react to local country legal structures, tax laws, flow of funds between non-profit and for-profit, and tweaks to business lines. I know that some of these items are not exclusive to for-profits of course. No doubt, many non-profits drive immense social change and are responsible for significant social impact. For-profit status, as mentioned by Echoing Green, does make adapting to local laws easier in some cases, as we have discovered firsthand in Ethiopia. But ultimately, Nuru Social Enterprises (NSE) is a for-profit social enterprise for the simple fact that true financial sustainability depends on profit. It is this profit from NSE that will enable Nuru International to fund its impact programs, scale, and reach many more people. I also know that for-profit status does not mean that we’re more disciplined or cooler or hiring better talent. (I think we’re disciplined and cool and hire great talent because we’re Nuru and we’re building an amazing model, but that’s another blog post.) At the heart of it all, Nuru Social Enterprises provides the means for Nuru to do what it does best: empowering people to make meaningful choices and doing so in a way that allows local communities to make decisions, grow businesses, create jobs, and develop a sense of ownership for these businesses as they scale. 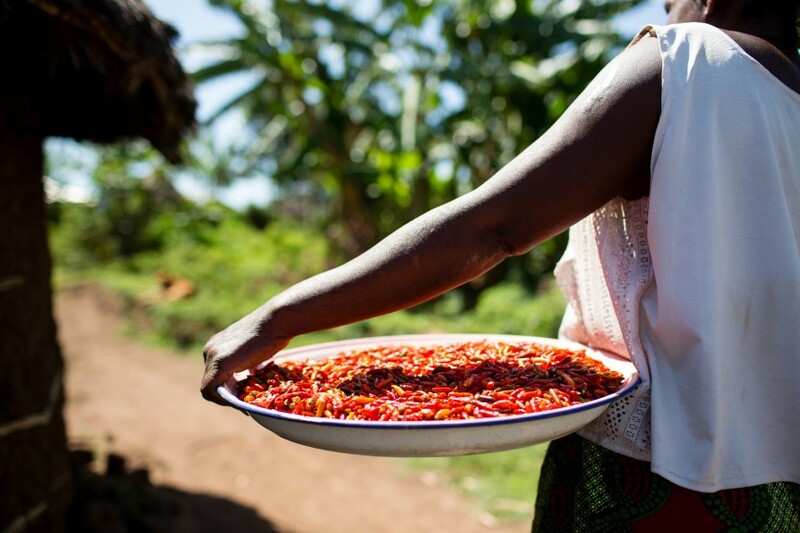 For Nuru Social Enterprises, our model allows us to do more and not less. Nisha Chakravarty is the Founding President of Nuru Social Enterprises, stepping into this role after joining Nuru as its Chief Financial Officer in 2012.